Meg Whitman Gets Lie-Detector Offer From Journalist : It's All Politics Meg Whitman said she'd take a a lie-detector test to prove she's telling the truth in the matter of the undocumented housekeeper . A Los Angeles Times journalist says he has it all arranged. In one of the highlights of California Republican gubernatorial nominee Meg Whitman's Thursday news conference, she said she'd consent to a lie detector test to show she's telling the truth when she says she didn't know before June 2009 that her ex-housekeeper was undocumented. Los Angeles Times columnist Steve Lopez says he has it all arranged. OK, Meg, I've got a polygraph expert lined up. That's right. In response to gubernatorial candidate Meg Whitman’s pledge that she would take a lie-detector test to prove that she and her husband didn’t know they had an illegal immigrant cleaning their house for nine years, I made a couple of calls and got it all set up. This would appear to be what one calls a nightmare for a candidate who was already in a difficult statewide race. 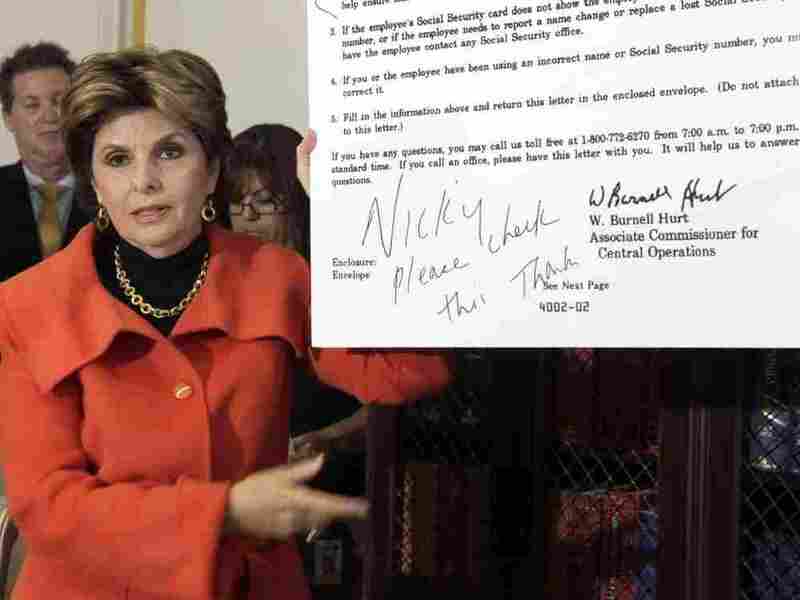 That's especially true after Gloria Allred, the lawyer for former housekeeper Nicky Diaz Santillan, on Thursday showed off for the entire world to see a copy of a 2003 Social Security letter to Whitman and her husband. It was a so-called "no match" informing them that the housekeeper's name didn't match her SS number. The letter appeared to have on it a handwritten note to the housekeeper by Whitman's husband, Griffith Harsh. The appearance of the letter with Harsh's handwriting caused her husband to later say back away from his wife's declarative statement that they had not seen the letter. He allowed that he might have, after all, though he didn't remember it.